How popular is Invisalign? More than five million people have had the world’s leading clear aligner orthodontics system—that’s more people than the entire population of beautiful Oklahoma! Magnolia Family Dentistry is pleased to offer Invisalign treatment here in Midwest City. If you’re one of those people who covers your smile or hesitates before smiling due to misaligned teeth, Dr. Nels and our team would love to introduce you to the Invisalign system! If you have any questions or you’re ready to schedule a consultation with your Midwest City Invisalign dentist, Dr. Leaha Nels at Magnolia Family Dentistry, give us a call today or request an appointment online! Invisalign doesn’t work for every dental case, but Dr. Nels can make an accurate assessment at your initial visit. Several sets of clear aligners are custom-made to fit your bite by Dr. Nels. You will wear each set for 1-2 weeks, depending on your treatment plan, and visit every 6-8 weeks to pick up your next set of aligners, check your progress, and have any questions or concerns answered along the way. You’ll be able to see and feel your bite transform throughout the process! The Invisalign system is safe and easy. It takes about half as long to complete treatment as orthodontics with traditional braces. There are fewer dental visits, so it is more convenient for busy folks on the go. Not to mention the fact that straighter teeth are healthier, easier to clean, and less prone to gum disease and tooth decay. It’s a win-win-win! The number of people over 18 years old who choose orthodontic treatment has been on the rise for years, and clear aligner systems like Invisalign are part of the reason. It’s never too late to get the smile you’ve always wanted—and no one has to know you’re wearing braces unless you tell them! That said, Magnolia Family Dentistry does offer InvisalignTeen®. It is very similar to the regular system, with additional features like blue compliance indicators to ensure the aligners were worn for the proper length of time for that day. Orthodontic treatment is a big decision for a lot of reasons. 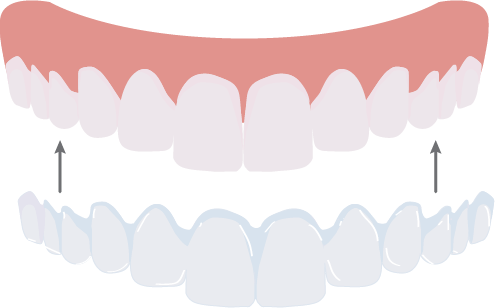 It is true that straighter teeth are easier to maintain—and of course, you’ll feel better about your smile (and probably show it a lot more often) if you like the way it looks! If you’re seriously considering Invisalign, you owe it to yourself to get all the information you can—and Dr. Nels is happy to help! That’s a big question! Unfortunately, insurance often won’t cover orthodontic treatments, particularly for adults over 18. However, we do offer flexible financing through CareCredit® and Compassionate Finance™—and we have our own in-office Dental Savers plan. Check out our Patient Information page or give us a call for more information!